Finding the best air conditioner can be a pain! You don’t have to suffer through the summer when cheap, energy-efficient air conditioners are broadly available. Since 2015, every room air conditioners with an energy-star rating have been compelled to meet the latest standard, Energy Star 4.0, that sets max power usage at a 10% reduction than older models following the 2014 protocol. And, when used to give cooling only where they’re needed, air conditioners are less costly to use than central units. This article will offer some useful information. 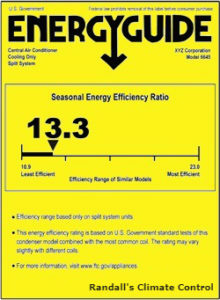 An air conditioner for a room has an efficiency that is measured by an energy efficiency ratio also referred to as EER. The EER is the ratio of the cooling capacity to the power input (in watts). The greater the EER rating, the more effective the AC. Every increase of 1.0 on the EER scale signifies a 10% increase in energy-efficiency. When purchasing a new room air conditioner, information about the EER is located right on the AC. Search for the information of the EER of at least 13 AC units and the energy star label. Getting the energy star means an air conditioner meets meticulous energy efficiency guidelines set by the U.S. EPA and the U.S. Department of Energy. Is it too big? How about too small? Or is it just right? What is the best air conditioner for your space? The needed cooling capacity for a room air conditioner hangs on the size of the area being cooled. Room air conditioners typically have cooling capacities that span from 5,500 BTU per hour to 14,000 BTU per hour. Many folks get a room air conditioner that is too big, thinking it will offer better cooling. The truth is, an over-sized air conditioner is much less effective and it wastes energy at the same time. Air conditioners get rid of both heat and humidity from the air. If the AC is too big, it will cool the room rapidly, but only get rid of some of the humidity. This makes the room have a damp, clammy feeling. An accurately sized unit will get rid of humidity efficiently as it cools. Verify that your residence’s electrical system can meet the air conditioner’s power requirements. AC units for rooms operate on 115-volt or 230-volt circuits. 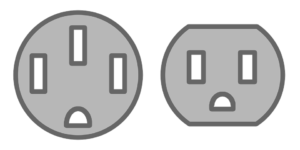 The normal household has the connection for 115 volts. Large room air conditioning units with 115 volts are going to necessitate a serious circuit. Is the unit 230 volts? Then a specific circuit is required. Will the AC unit be near the corner of a room? You will then need to look for a unit that can direct its airflow in the preferred direction for your room layout. Does the AC unit need to be at the far end of a room? Then search for models that contain a “turbo” fan likeness that can drive air deep into the room. Finding the best air conditioner is not always easy. Especially when there is a ton of information floating around. Check out reviews on what the best air conditioner is near you. Make sure that your space can handle it. Just because it is bigger, does not make it better. If you are completely confused, you can always give the pros at Randall’e Climate Control a call. We will be happy to help you in anyway we can!